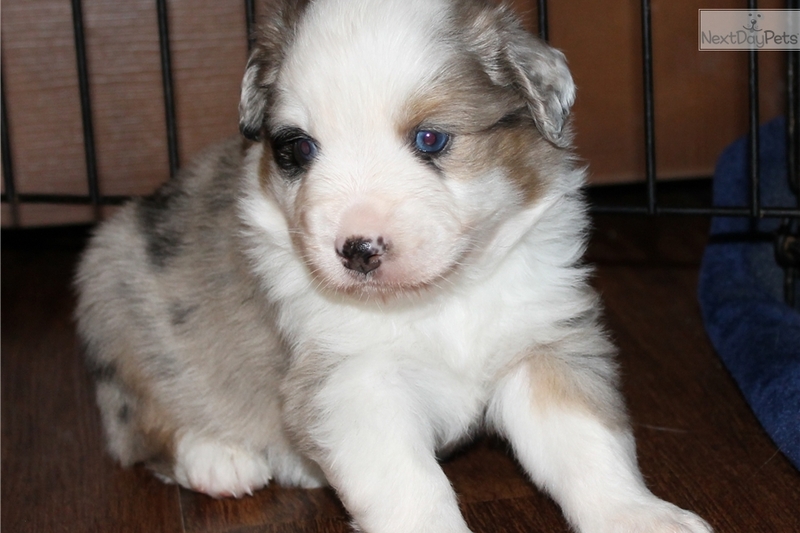 This Miniature Australian Shepherd nicknamed Boo Berry sold and went to a new family. FLASHY with full white collar. This boy has it all. Beautiful merle coloring. Mellow personality. He is a head turner for sure.